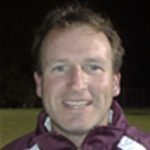 Brad has been involved in Administration of Touch Football since 1995. 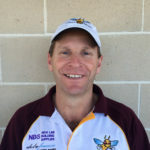 He has been at Hills Hornets since 2005 and became President of the club in 2008. 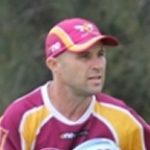 He boasts 23 years of playing experience and is a current Australian Touch representative after competiting in the 2011 and 2015 World Cups and 2013 Super Trans Tasman Series. Brad currently works as an IT Project Specialist for a local Software Company. 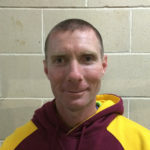 Anthony has been with Hills Hornets since 2001 and is the second longest serving player at the club. 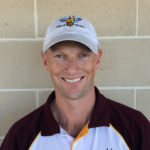 He is a coach of both Junior and Senior representative teams and an establish player in his own right after being selected in the NSW Mens 35s squad in 2006. He is also a Life Member for Hills Hornets after being inducted in 2009. Anthony is currently a head teacher at a local High School. Craig is another long standing Hills Hornets representative with 2014 being his tenth year at the club. He accepted the role of Treasurer back in 2008 and has been instrumental in the clubs resurgence. 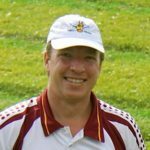 Craig is not only a representative player but he is also a junior representative coach, referee and selector. Craig is also a successful builder and is part owner in a local building company. 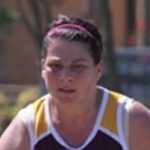 Katrina is a welcome inclusion on the Hills Hornets Touch Executive committee and has been involved at the club since 1998 when she was part of the clubs first title in the Mixed Open Division. 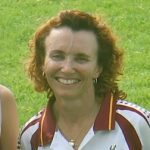 Katrina is also a Life Member of the club after being inducted in 2008 and the first female Executive committee member. A regular Regional, State and Australian representative Katrina offer the club a wealth of knowledge at all levels. Katrina is a self employed Workplace Health and Safety Professional. Brad Curl has joned the club committee as the Coaching Director in 2015. He has a wealth of knowlegde in the coaching arm of the game and will provide stability and growth in this area with a main focus on the Junior environment. 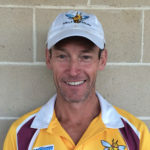 Brad first represented Hills Hornets in 2001 and has since gone on to represent the Region on numerous occasions, whilst being a Level Two coach and selector. Jason has been at the club since the early 2000’s as a referee and been a representative player for the past 8 years. Jason is a level 2 referee who has taken the role of Referees Director in 2013 and has developed a large number of junior referees that control our local competition. Jason is also a successful self employed builder in the Hills area. Phil McIlwraith, Social Media Officer. Phil was appointed the newly created position of Social Media Officer in 2015. The club feels that the growth and popularity of social media trends is an extremely important technology that the club wants to target moving forward. Phil has also been around the club 1998 as a player and coach plus is a professional in the IT field so the fit is exactly what the club needs. Christine was appointed in 2015 in another newly created position of Merchadise Officer. The increase in teams and the ever revolving merchandise opportunities that the club provides from its suppliers is an important and challenging position. Christine has a backgorund in this field and will provide a huge amount of knowledge for the future.